-One of the club's fan clubs is located on the back of the neck (The Panzers). 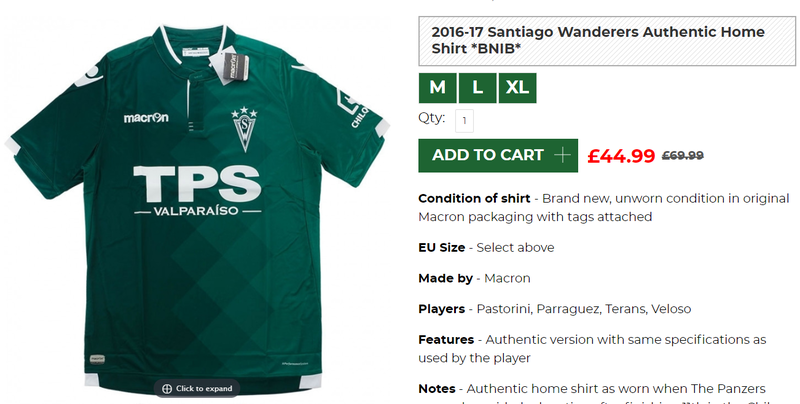 There have been quite a few chances for me to pick up a Santiago Wanderers shirt over the years. However I neglected to buy them and when I eventually decided to buy them, they had all been sold out in a medium. So when this one appeared on the market I knew I had to pick it up. The shirt itself has a brilliant design, with the slightly different shades of diamond being present throughout the material. I also like the colour in general. 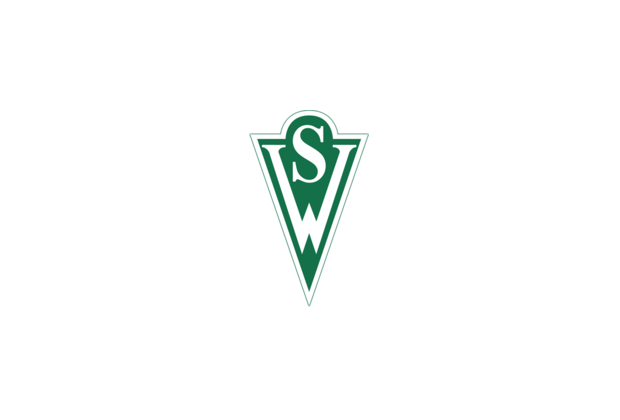 In its early years the color that characterized Wanderers were white with the initials "SW" stamped in black. These uniforms were made manually (often by players’ wives), which made lose uniformity, as usually they differed from each other.